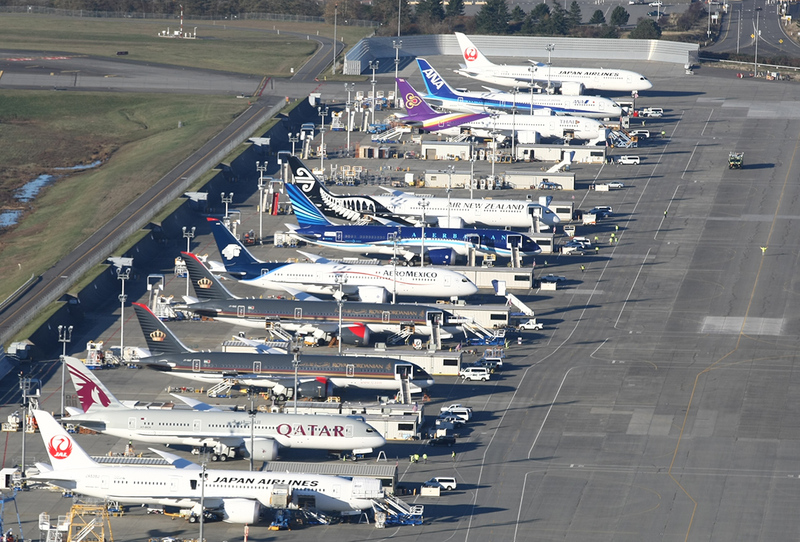 Family portrait of Boeing jetliners on the occasion of the rollout of the 787 in 2007. 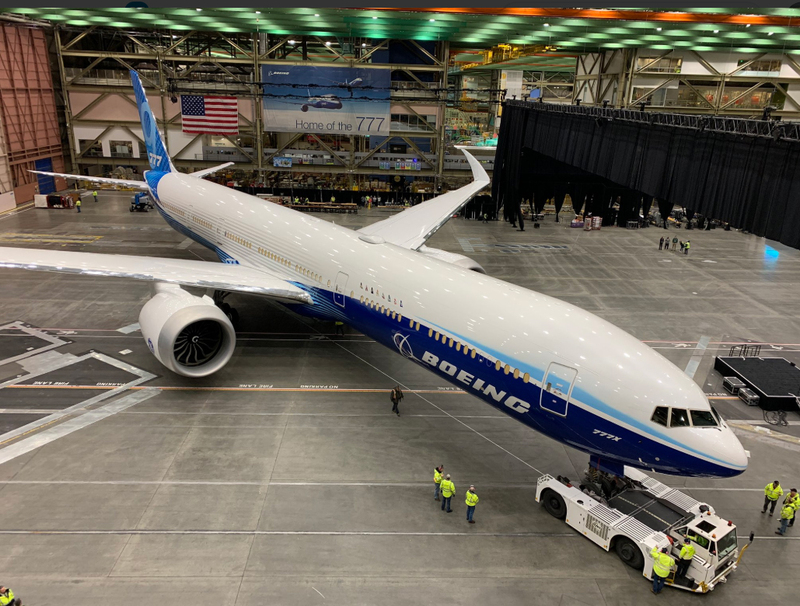 Being cautious and last to market with new aircraft or upgrades is in the DNA at Boeing and it has done spectacularly well coming from that position. Suggestions by lay media that Boeing rushed the design of the 737 MAX shows a complete lack of knowledge of the company or aviation history itself. As far back as the first Boeing jet, the 707, it was ultra cautions and ignored pressures to compete. De Havilland was first to fly a commercial jet airliner with the Comet on July 17, 1949 – three years before Boeing committed to even building a prototype jet transport. And rather than commit to full-scale production Boeing opted to build a single prototype, a process that took over 2 ½ years. De Havilland’s Comet flew five years before Boeing’s 707 prototype. Certainly, the 707 was the first US jet into airline service on October 26, 1958, well ahead of the DC-8, but that was because of all the work Boeing had done with its prototype. Next jet for Boeing was the 727 and again it was extremely cautious. De Havilland in the UK was already touting its Trident which flew a year before the 727. From concept to first flight Boeing took seven-years to design and build the three-engine 727. 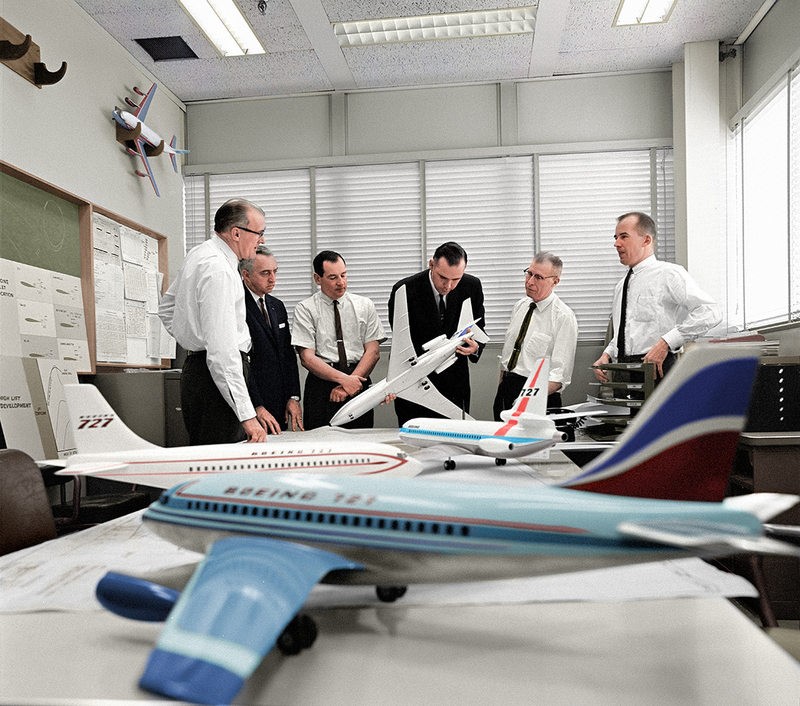 Boeing’s engineers examine a model of the final configuration of the 727. Other concepts are in the foreground. 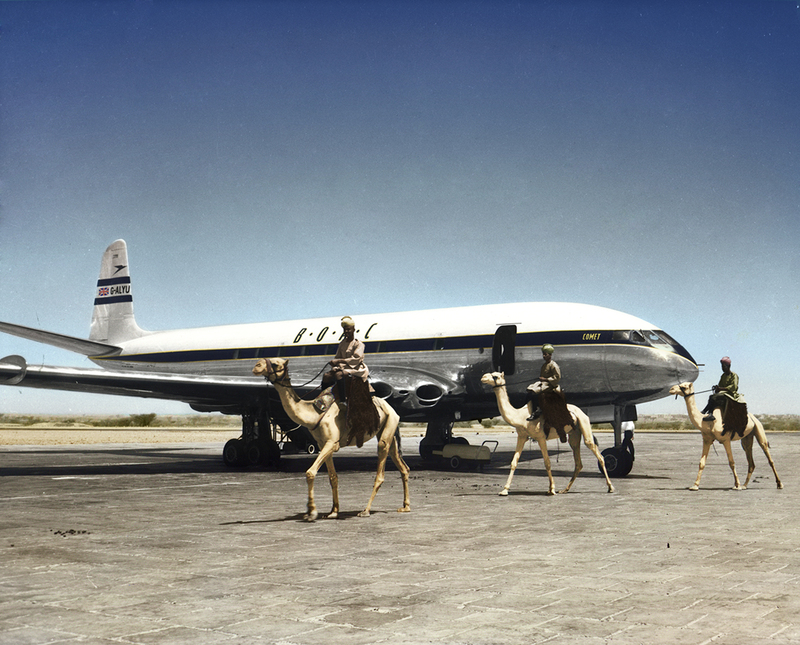 Boeing Historical Archives colorized by Benoit Vienne. And while last to market in that market segment it outsold its direct opposition selling 1,852 compared to just 117 Tridents. With Boeing’s next foray into the market, the short-range 100 passenger twin-engine 737, it was even further behind. The French Caravelle first flew in 1955, the BAC 1-11 in August 1963 and the Douglas DC-9 in February 1965, while the 737 didn’t fly till early in 1967 a full two years after its arch-rival Douglas, which at the time dominated sales in that segment. Most major US airlines had ordered the DC-9, seen here, when Boeing finally decided to build the 737. When it launched the 737, only one major US airline, United, had not committed to the other designs. 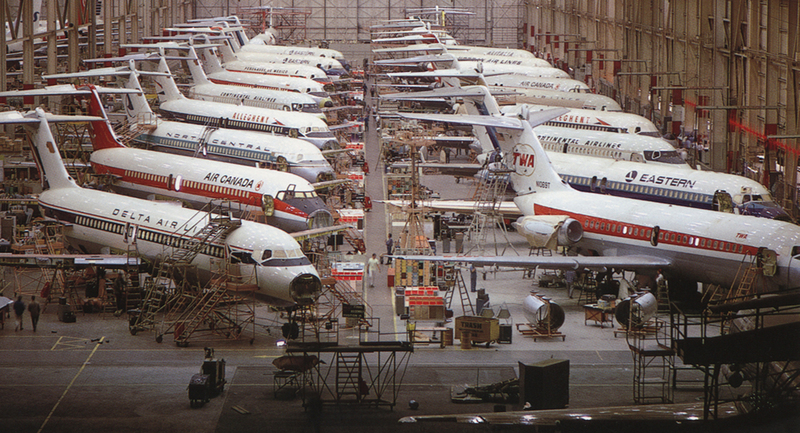 American had chosen the BAC1-11, while TWA, Eastern, and Delta had opted for the DC-9. But Boeing believed it had a better design and it did. Sales of the Caravelle topped 282, BAC1-11, 244 and all models of the DC-9, 2,439, while the 737 has sold over 15,200 and it is being produced at 52 a month. The next highly competitive battle would be the first involving Airbus, which had its twin-engine “jumbo jet” A300 well established in the market place. Boeing offered its 767 as competition over seven years later! The A300 first flew in 1974, the 767 in 1981. Yet again the Boeing design – due to a huge home market – outsold it 1135 to 861 for the A300/A310 family. But possibly the best come from behind win for Boeing is the twin-engine 777. 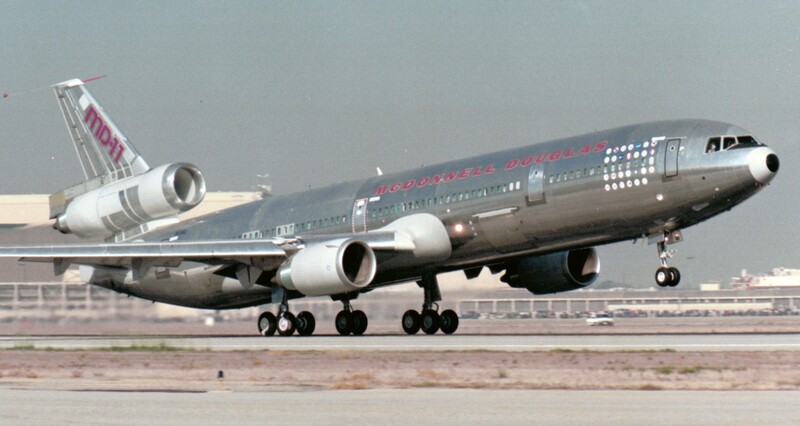 When Boeing first offered it to the airlines in December 1989, McDonnell Douglas had won 315 orders and options for its three-engine MD11 from 24 airlines, while Airbus had won 153 orders and options from 10 customers. Fast forward to today and Boeing has sold 1,928 777s and 777Xs verses a combined 580 for the A340 (380) and MD-11 (200), which are not only no longer in production but most are being broken up for scrap. Put simply, Boeing saw the future as the “big twin” rather than a compromised three or four engine design and waited over three years for the engine makers to develop the right powerplant. It was a long term play and once again, the waiting game paid off handsomely. Last to market by 4.5 years but a runaway success the Boeing 777 is the backbone of the world’s international airline fleets. Now a new version will keep production lines going for another 20 years. The Seattle manufacturer also resisted the temptation of going head to head with Airbus with its all-new superjumbo the A380. The A380 stole Boeing’s prestigious crown of building the world’s largest commercial passenger aircraft. The Seattle aircraft builder wasn’t worried and saw the future in smaller, more flexible aircraft with newer technology. It launched the 787 a full three years after the A380 was committed to production and in February this year, Airbus announced it would shut down the line with only 251 sold. In contrast, the 787 has won orders for 1421 and 800 have been delivered to the end of February and Boeing keeps winning orders at fast rate selling 42 in the first quarter of this year. 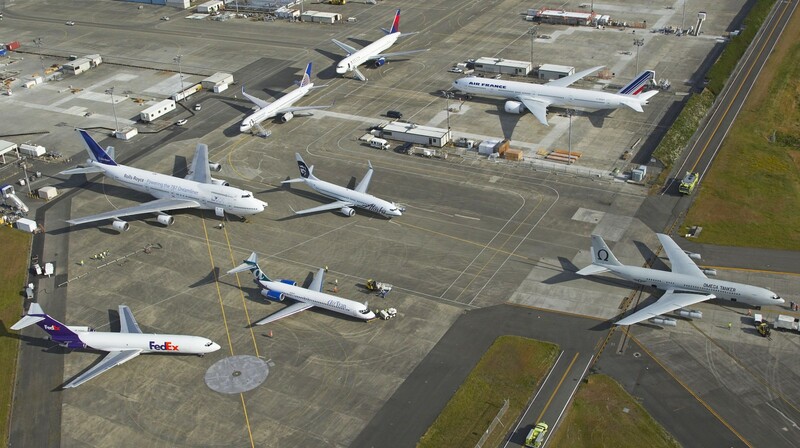 Boeing 787s being readied for delivery in Seattle. Time, and time again, Boeing has been ultra-cautious and won out handsomely in the market place. There is no question playing the waiting game is in its DNA. It has never rushed a design or upgrade and suggestions that it has are simply mischievous nonsense. Geoffrey Thomas has been involved in the aviation industry since 1970. Since turning to full-time coverage in 1996, he has authored 11 books and won 42 international awards for his works including Aviation Journalist of the Year in 2009 and a Lifetime Achievement Award in 2018. He is former SE-Asia Editor of Aviation Week (1996-2000) and Senior Editor of Air Transport World (2000-2012). Next articleSpace-based tracking set to revolutionize aviation.